If you want to get to know D3.js or you are kind of familiar with it, this tutorial can be a great reference. 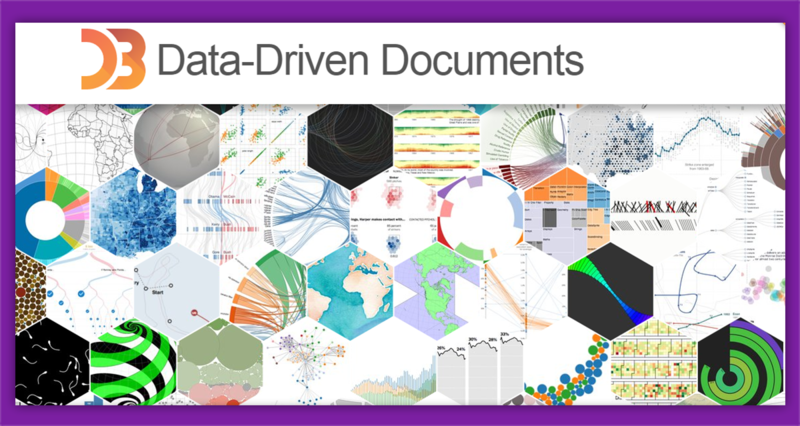 D3 can help you create data visualizations with ease, and it offers a wide variety of examples as you can see on their page. Vue can wrap D3 inside its components, so you could say they make a good pair. D3 allows you to bind arbitrary data to a Document Object Model (DOM), and then apply data-driven transformations to the document. For example, you can use D3 to generate an HTML table from an array of numbers. Here is a Demo of the app, final result of the tutorial. Read Visualizations With Vue.js by @tyronetudehope. The source code can be found on GiHub.